From DIA to Fort Collins: If you are flying into Denver International Airport, shuttle service to the University Park Holiday Inn (across from campus) can be arranged through Fort Collins Airport Express for $16.00/person one-way. To make reservations call (970) 482-0505 or send your information by fax to (970) 482-4545. Be sure to include your name, date and time of arrival, airline, and that you will be traveling to Fort Collins. If driving from DIA to Fort Collins, take Pena Blvd from DIA to I-70 West to I-25 North to Fort Collins. Here is a simple map. From the South (I25 north: mountains on left) to University Park Holiday Inn: From the intersection of Interstates 70 and 25 in Denver, drive about 60 miles north on I-25 until you reach Fort Collins. Take the second Fort Collins exit - - Exit #268 Prospect Road. Drive west on Prospect approximately 5 miles to College Avenue. At College, continue west and the Holiday Inn is on the left at the next intersection with a stop light (Center Avenue). From the North (I25 south: mountains on right) to University Park Holiday Inn: From the intersections of Interstates 80 and 25 near Cheyenne, Wyoming, drive about 40 miles south on I-25 until you reach Exit #268 Prospect Road. Drive west on Prospect approximately 5 miles to College Avenue. At College, continue west and the Holiday Inn is on the left at the next intersection with a stop light (Center Avenue). Unfortunately, the number of responses we received for charter bus shuttles to the Convention Center in Denver on Saturday and Sunday were not enough for us to offer this service. As an alternative, we suggest you purchase a round-trip shuttle ticket from the Denver International Airport to Fort Collins. Upon your return to the airport, shuttles are available to the OOPSLA '99 conference hotels. Super Shuttle provides frequent service (every 15 minutes) from the airport to all of the hotels. Travel time is approximately 30 to 45 minutes depending on traffic and the number of stops en route. The ticket booth for Super Shuttle is on the fifth level of the airport and passengers catch their vans, shuttles and taxis outside the fifth-level doors. OOPSLA '99 has a discounted conference rate of $27.00 round-trip. Just let them know you are with OOPSLA '99. By Car: Custom street maps highlighting different parts of Fort Collins can be obtained on-line through MapQuest (to center map on the University Park Holiday Inn, enter zipcode 80526). The Fort Collins Convention and Visitors Bureau has provided us a map of major streets. By Bus: Fort Collins has a pretty good bus route. A map and schedules can be found here. General Transportation Information: The city maintains an information page with general information about getting around our town. City Home Page: The city of Fort Collins has a home page. 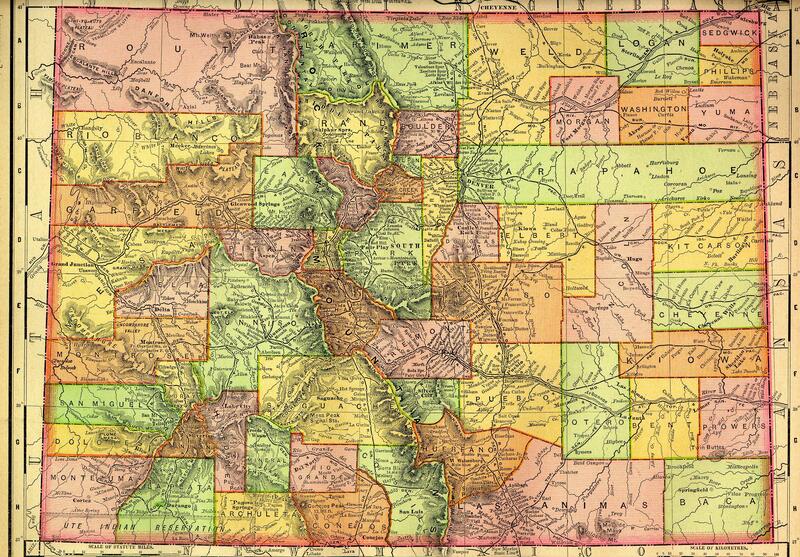 Here you can find generic information and some history about Fort Collins. Fortnet: A local community ISP, Fortnet , has lots of useful information and links about the city. As does the Fort Collins Online Community. Fort Collins Convention and Visitors Bureau: The Convention and Visitors Bureau has an extensive list of restaurants, and other interesting places to visit and things to see. Colorado State Conference Services: Home page has general information about Fort Collins and Colorado State University. Here, assembled in one place, are pointers to maps of particular and general interest. Build your own: if you need a specific road map, try MapQuest. Map of Fort Collins showing major streets, courtesy of the Fort Collins Convention and Visitors Bureau. Rocky Mountain Park Points of Interest. Due west of Fort Collins is the Cache la Poudre River. The Poudre, pronounced `Puder' locally, is Colorado's first National Wild and Scenic River. There is a road up the Poudre Canyon that ultimately reaches Cameron Pass on the Continental Divide at roughly 11,000ft. Most of the area is part of the Roosevelt National Forest. This site includes a large area map keyed to camping information. Just over Cameron Pass is a major Colorado State Park: State Forest Colorado State Park. Private camping and lodging is also available. Recreation in and around Town, i.e. Golfing, Ballooning, Horseback Riding, etc. Got kids? Try the Swetsville Zoo. 4801 E. Harmony Road (1/4 mile east of I-25 on Harmony). FYI, there is no phone number. MapQuest does find it. World-famous metal sculpture park containing over 150 creations. Open daily dawn to dusk. Self-guided tours. Free. A resident of the zoo. Another resident. What Roadside America Says (bottom of page). Fort Collins Brews more Beer per capita than any other town in Colorado (or so says the local gossip mill). Beer in the Large, the Anheuser-Busch Brewery Tour in Fort Collins. Beer in the Small, New Belgium Brewing Company.